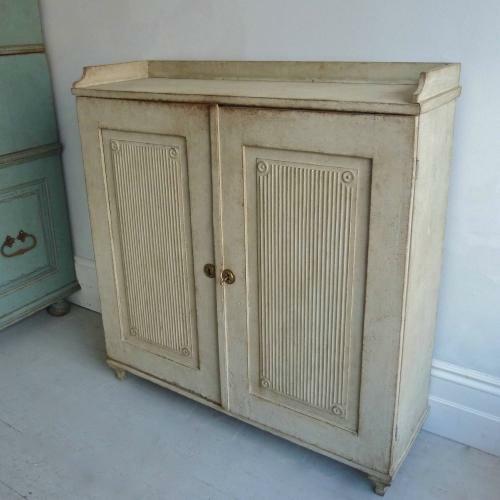 An elegant 19th century Gustavian style sideboard with beautifully carved & panelled door fronts, top balcony, and concaved tapered feet. With its shallow depth this stunning sideboard would work equally well in a hallway or bathroom, as it would in a reception room or kitchen/dining area. Swedish circa 1850 - 1880.